You might have heard that feeling a dog's nose can tell you about his health. Can a dog's health really be determined by the temperature and moisture of the nose? Does a cold and wet nose mean a dog is healthy? Is a warm and dry nose a sign of illness? Here's the truth: The temperature or moisture of a dog's nose is not necessarily a good indicator of anything. A healthy dog may have a warm or dry nose while a sick dog could still have a cold, wet nose. 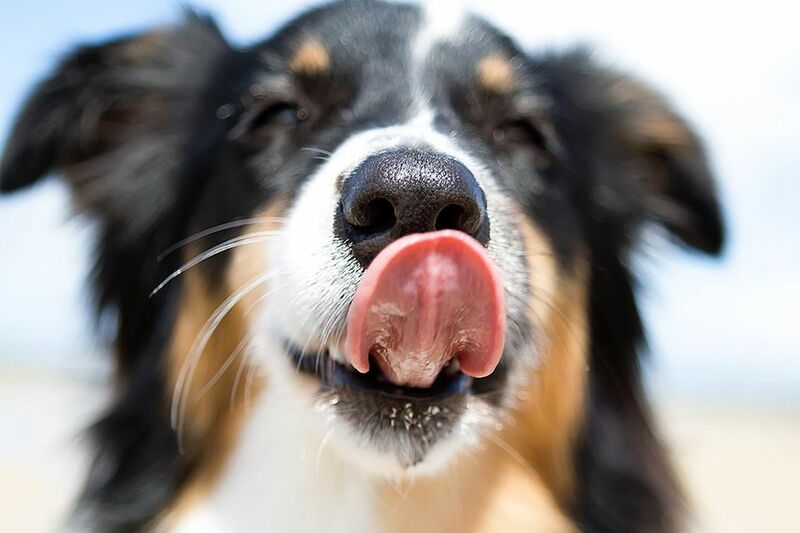 Dogs keep their noses cold and wet by licking. The moisture on the nose helps intensify scents and give dogs the ability to determine which directions smells are coming from. It is normal for a dog that has just woken up to have a dry nose. This is simply because the dog was not licking his nose in his sleep. Sometimes, a dog's dry or warm nose will accompany other signs of illness, such as lethargy, vomiting, diarrhea and more. These symptoms are reason enough to call your vet, regardless of how your dog's nose feels. Why Do People Think The Dog&apos;s Nose Matters? The "dog nose" myth has been around for ages, sometimes putting dog owners in a panic. How did it begin? Like many myths, the origin of this one is not certain. However, some experts think it may have started at a time when the deadly virus called canine distemper was common. One symptom of advanced distemper is hyperkeratosis (thickening) of the nose and footpads. Back when distemper was more widespread, a cool, wet nose was considered a good sign that the dog did not have distemper. While canine distemper still occurs, it is far less common today thanks to vaccines. All of this being said, you should not ignore any signs of sickness in your dog. If you notice your dog's nose feels unusually hot, it's probably a good idea to check his temperature. Call your vet if your dog has a fever or is showing any other concerning symptoms. There are some medical conditions that can affect a dog's nose, causing it to appear abnormal. Some are more major than others. Pemphigus foliaceous is a serious dermatological condition that can cause a dog's nose to become very dry and cracked. Sometimes, a dog's nose can be affected by allergies, potentially causing dryness and cracking, though to a less serious extent. Be aware that dogs can get sunburn, something that will affect the nose. There can also be pigment changes to your dog's nose, many of which are harmless. However, you should not ignore obvious changes to your dog's nose. Cracks, crusts, or sores on your dog's nose should be checked by your veterinarian as soon as possible. In addition, you should also contact your vet if your dog has nasal discharge, sneezing or wheezing. The bottom line: If your dog's nose happens to be dry or warm but otherwise looks normal, don't panic. However, you should contact your veterinarian right away if something does not seem right with your dog.